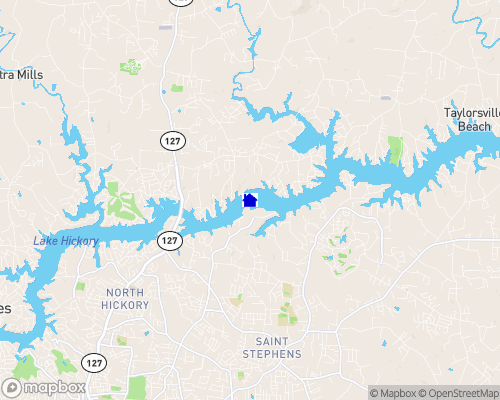 Head to Lake Hickory, North Carolina, if you are considering lake homes for sale. Lake Hickory is located in Alexander County in the west-central region of the state, and it contributes to the Catawba River Basin. Long, narrow, and winding, Lake Hickory supports a bounty of indigenous wildlife, outdoor recreation, award-winning golf, and community-minded entertainment. There’s certainly no shortage of things to experience, explore, and savor on and around the lake; all you ha ...Learn more here! Head to Lake Hickory, North Carolina, if you’re considering lake homes for sale. Lake Hickory is located in Alexander County in the west-central region of the state, and it contributes to the Catawba River Basin. Long, narrow, and winding, Lake Hickory supports a bounty of indigenous wildlife, outdoor recreation, award-winning golf, and community-minded entertainment. There’s certainly no shortage of things to experience, explore, and savor on and around the lake; all you have to do is decide where to begin! Lake Hickory’s 109 miles of intricately weaving shoreline contributes to a complex and beautiful topography that makes for some supreme fishing. Numerous creeks feed into the lake, raising the maximum water depth to 100 feet. Characteristics like the lake’s seasonally warm waters, fluctuating depths, and water flows all help to support healthy populations of crappie, catfish, and walleye, along with striped, white, largemouth, smallmouth, and spotted bass. Come summertime, plan your bass fishing around the heat—the fish grow sluggish in the warm waters, so your best bet is to hunt using large baits in the deep areas. Another idea is to cast your rod in the oxygen-rich flowing creeks and inlets where the catfish spend their days. Sixteen marinas and five public access points are situated around Lake Hickory for your convenience. And while there are no designated public swimming areas, lake properties for sale offer private swimming access. Sailing is popular on Lake Hickory, in addition to speed boating, water skiing, and tubing. You may also like to take your water toy out and navigate Lake Hickory’s 20 miles of undeveloped beach, where many native species of animals and vegetation thrive. You may even glimpse bald eagles soaring overhead. The town of Hickory is praised for its Southern hospitality and world-renowned craftsmanship. The city has also developed the reputation for hosting some of the best golfing in the region. Fourteen local golf courses hold awards, and many more are serious contenders. In particular, Lake Hickory Country Club caters to both experienced and novice golfers by offering two courses to choose from: the 9-hole Town Club and the 27-hole Catawba Springs. If you’d like to live on a Lake Hickory golf course, check out GolfHomes.com for details. Autumn ushers in the harvest of Alexander County’s prized fruit: apples. Orchards grace the rolling landscape, inviting you to sink your teeth into something sweet. 4223 acres, 105 miles of shoreline, very clean, drinking water supply lake and recreational.